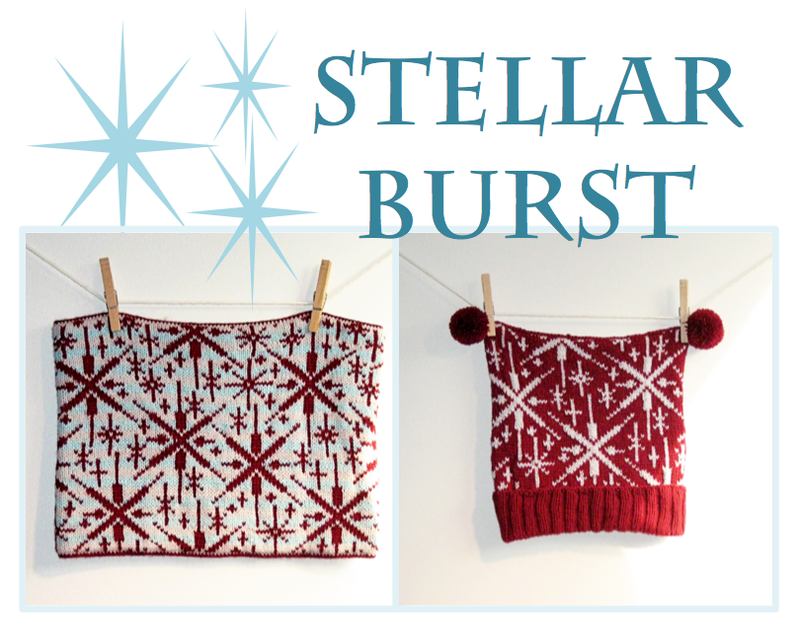 After many months of horrible pattern writing blockage, I am happy to release Stellar Burst, a hat and cowl pattern. I drew this up after spending some quality time last year on Flickr, searching Finland, Sweden, Lapland, ect and pretend vacationing. When the everyday grind of NY gets to be too much and I pretend vacation on Flickr or Craigslist, although checking out the prices of apartments everywhere else can sometimes exasperate the problem. Anyhow, on one of my pretend vacation afternoons I came across a gorgeous pic of some spiky red stars hanging on a winter tree in front of a house with light blueish-grey shutters. 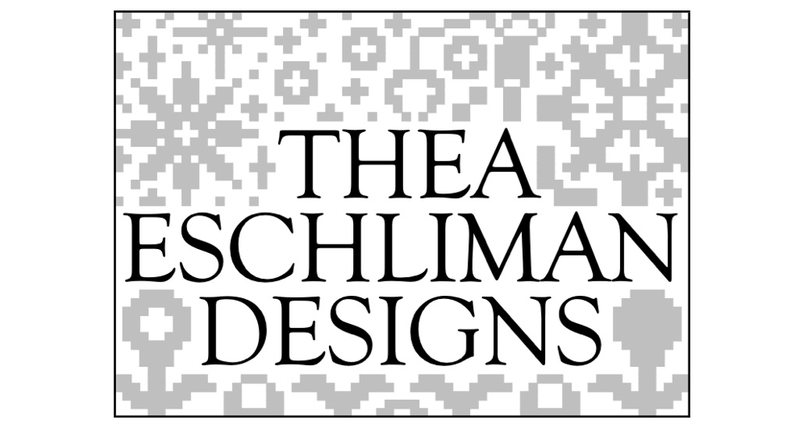 That picture was the inspiration behind this pattern. The example cowl was knit striping a light gray and a light blue for the background while the hat got a solid background. The instructions include one size for the cowl using DK weight yarn and two sizes, small/med (18 inches), and med/large (20 inches), for the hat using sport or DK weight yarn. The chart background is striped. This is optional and can be ignored if you wish to have a solid background. The chart is repeatable horizontally and vertically except for the stripes which should be reversed if you choose to repeat the chart vertically (this is unnecessary for the projects in the pattern and only applies if you choose to use the chart for another project entirely). The pattern includes yardages, and the needles and notions needed to complete the projects. I hope you enjoy the new pattern, and remember, spring and summer are when you knit the things you wear in the fall and winter!